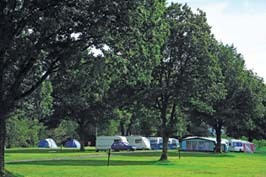 Cobleland (Gatmore) - The Queen Elizabeth Forest Park is one of Scotland's national treasures, and a very special location for the campsite at Cobleland. With a riverside setting amidst the ancient oaks of this splendid forest park, Cobleland offers a wealth of natural beauty. Cashel (Loch Lomond) - Loch Lomond is Scotland's greatest inland stretch of water and arguably one of the prettiest settings you'll find anywhere in the UK. 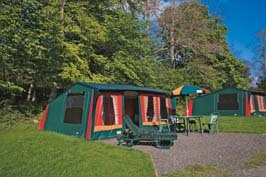 By the bonnie, bonnie banks, you'll find Cashel to be a grassy, tree-lined campsite with attractions for lovers of watersport as well as of walking. 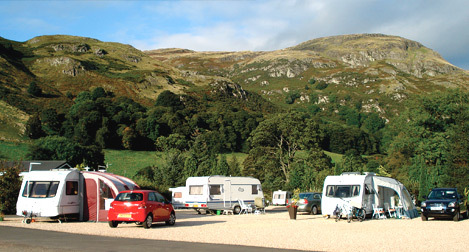 Witches Craig Caravan and Camping Park (Stirling) - Witches Craig is an attractive and exceptionally well-maintained touring park located in the heart of Central Scotland. This friendly and scenic park is tucked below the picturesque Ochil Hills and is overlooked by the historic National Wallace Monument.